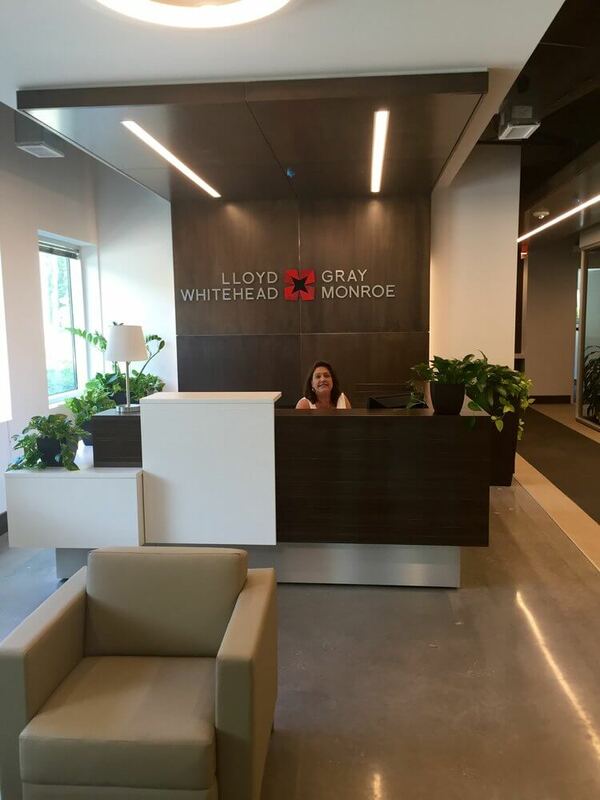 Recently, Lloyd, Gray, Whitehead & Monroe’s employees walked into new offices at the 880 Montclair building. This new space reflects the firm’s vision of the future of law and it is a huge departure from the typical Birmingham law office. Designed by Williams Blackstock, it is a must see for any Birmingham lawyers contemplating new offices. After touring the space myself, I spoke with Stephen Allen, one of the architects on the project, to get a better understanding of the “whys” behind the design. Lloyd Gray’s new offices were designed to reflect that the firm sees itself as a “forward looking” law firm. The office is a blend of warm wood, open ceilings and lots of glass. Natural light floods the space despite the fact that it features only two primary window walls. 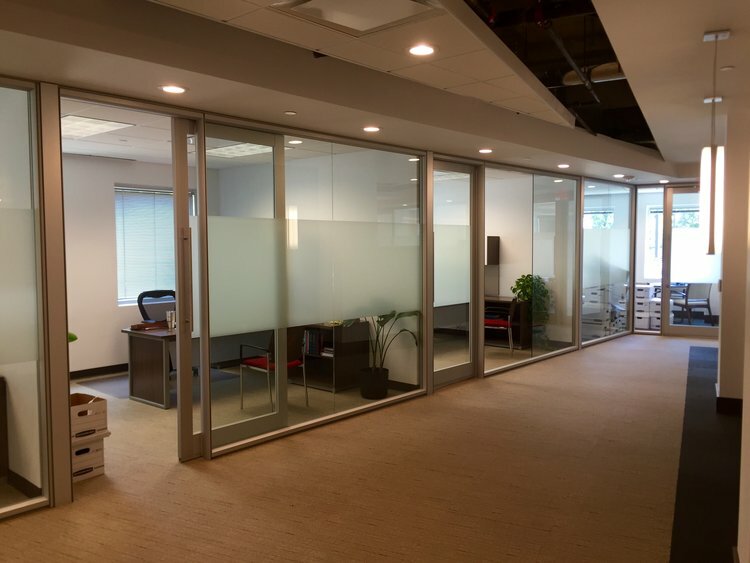 The attorney offices encircle the perimeter walls (both interior and exterior) of the suite and all offices contain full glass fronts (doors and walls) so that natural light can be captured throughout the space. 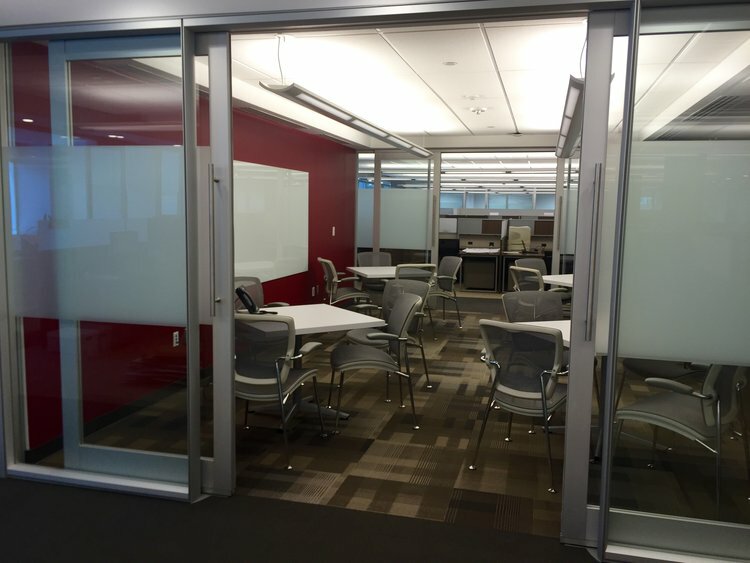 The glass office fronts are all DIRTT modular walls with sliding barn doors. These glass walls are not only aesthetically pleasing, they are less expensive than conventional glass wall construction and their sliding barn door design saves nine square feet of space. Lloyd Gray used standardized furniture throughout all attorney offices. Richie Hamer with Business Interiors, who worked with Lloyd Gray on the project, said that while some firms give their partners the option of purchasing whatever furniture suits their individual tastes, Lloyd Gray prioritized a clean consistent look (especially important given the glass office fronts) that also provides them with the flexibility to easily relocate attorneys within the office as teams and practice groups evolve. All paralegals, administrative assistants, accountants and other support staff are in equally sized workstations. This is reflective of the firm’s desire to nimbly move staff around as teams and functions change as well as its rejection of workspace size as a status symbol. The workstations’ walls are only 50” tall (offering seated privacy), again reinforcing the feeling of openness and encouraging communication among employees. 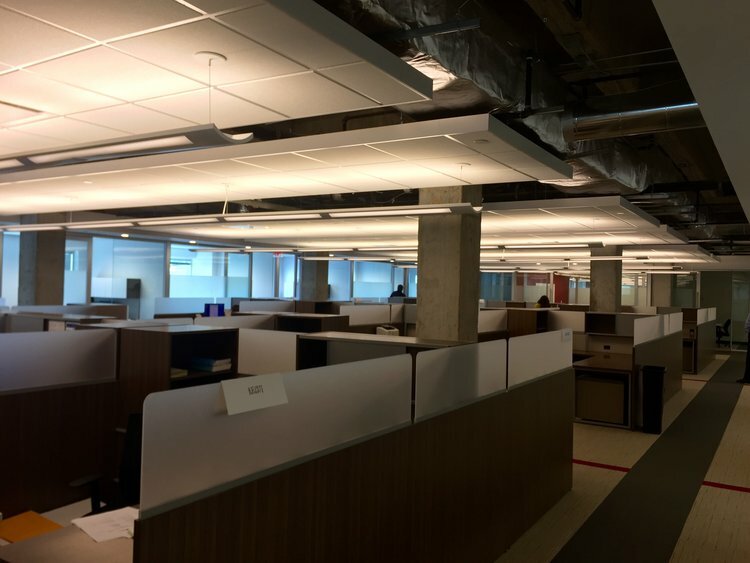 Because the ceilings are open, the space is equipped with a white noise system, however, should workstation employees need a private area for a phone call, they can use one of three sound proof phone booths built into the space. The office also features several conference room of various sizes as well as a multipurpose “work room” in the center of the space. This work room contains easily reconfigurable furniture to accommodate anything from attorney training to war room trial preparation. 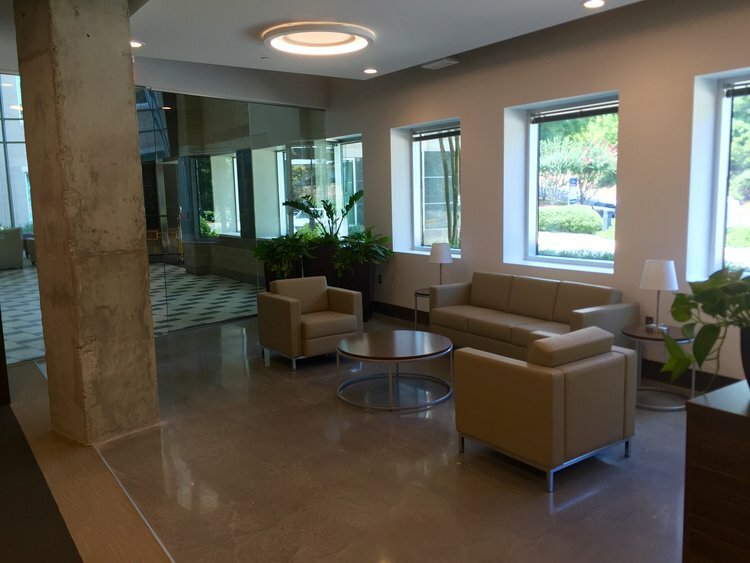 The lobby level entrance of the space adds a certain “wow” factor and is connected to a multi-purpose lounge area and a casual, inviting break room. Given all of the time and effort that went into this new design, I think Lloyd Gray’s clients, employees and potential recruits will find this a very inviting and productive new place to work. My apologies in advance to Lloyd Gray for all of the tour requests they are likely to receive!